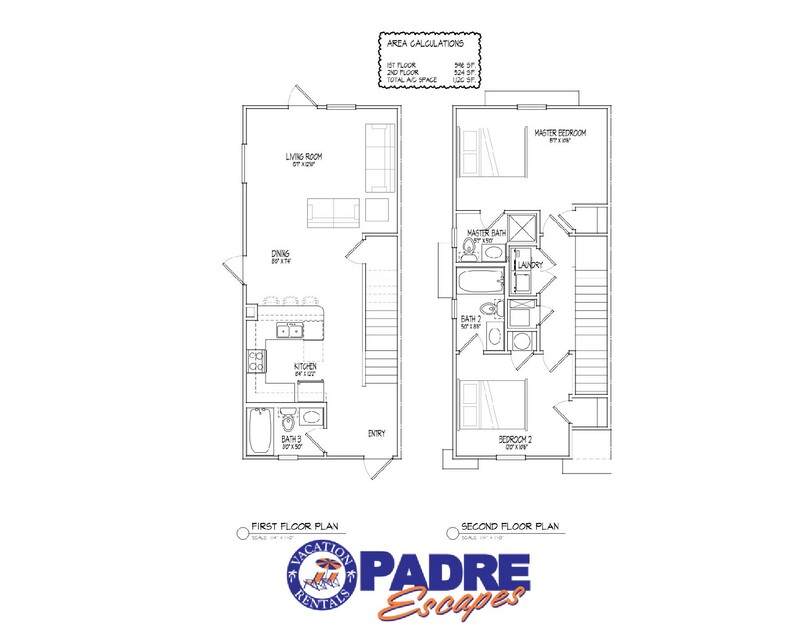 Address: 15120 Dory Drive Location: Corpus Christi Type: Townhouse Area: 1120 Sq.Ft. Great experience aside from the horrible, putrid, rancid stink from the dumpster for 3 days. It truly was sickening! We stayed in D120 and it was very nice and clean. Everything was beautiful. The only complaint I have is the sofa sinks in and it not comfortable, and it would so much more useful if it was a sofa bed. As far as the property, the pool was very small for the amount of units. There were so many people in the pool at one time, it wasn't enjoyable. And the pool and play area was the main reason I picked Nemo Cay. The great thing it's a minute to the beach, and the beach on Padre Island is so much nicer than going to Port A. Overall a very nice stay, and I would come back. I also wanted to mention that Padre Escapes and their employees are professional and top notch! Thank you for the feedback, we look forward to having you back. We really enjoyed our stay - nice clean place - easy access to everything. Would definitely stay again. The property was a perfect location to beaches and places to eat. Not far from corpus for more activities. Property was beautiful!!! We had a great experience. The rental was kept up and very clean. I cannot say enough about this property! My family and I are picky about where we stay, and this property exceeded our expectations. Clean, beautifully decorated, heavenly beds/mattresses, and sharp knives in the kitchen! We thoroughly enjoyed our time at Nemo Cay Resorts, and we will definitely be back next year ~~ except to stay longer! Thank you. This house is almost brand new and a great place to stay with kids! The condo is a little far from the "downtown" Port A experience - a 15 minute drive - but loved the accommodations and the fact that we could hop in our Jeep and be driving on the beach in about four minutes. Just be prepared to pack up and go to beach everyday. Not the type of place where you walk out your back door onto the beach. Can't beat the fact that three hours from my home, I can be driving on the beach and have a nice relaxing place to stay!! As a travel nurse that travels with my family, I need a place that feels like home. 5 of us stayed here for 3 months and we had the time of our lives. It's great being down the street from the beach. I loved having EVERYTHING we needed already stocked in the house. I would highly recommend this place. Thank you for the feedback, we hope you come stay with us again soon. It was wonderful! We loved this condo and would definitely go back! Very relaxing time with family. Condo was quiet, well built, clean, and close to lots. Price was fair. We were able to sleep 6 people in the unit, but that is the most toy could possibly fit comfortably in there. We we're the first people to stay in this unit and it was wonderful. The kids loved their room with the bunk-beds and It was close to just about everything we could want. The Management was very accommodating to our needs and wonderfully courteous. This is a gem of a rental. It is comfortable and cute. There is plenty of room for a family to hang out together or get a little space away for a quiet nap. The beds were very comfortable, which is always a big plus too! We had a great time and would go back... the condo itself was fantastic! Now in fairness there are a few downsides... the kitchen, though "stocked" was not stocked as well as most of the other condo rentals we have stayed in. Very limited on dishes, knives and the pots and pans are at the end of their life cycle. (We like to cook, even on vacation, so that may matter more to us than others.) There is mold growing on the ceiling and walls of the laundry closet... not that we spent much time in there, but it can be a problem if not addressed. The biggest downside for us was the HOA doesn't have the pool and it's area cleaned often enough. (I got the impression from management that it was only cleaned on Fridays?) I can understand the sand in the pool, it's the beach after all, but there were bandaids and cigarette butts floating 3 of 5 the days we were there and not even the kids wanted to swim after seeing that. It's a pity really, half of the pictures for the Nemo Cay Condos are of the pool and it was... well it was just nasty. So, as I said the condo is great. The management addressed any issue that we had (the smoke detector battery going off, the remote control needing re-programming) lightening fast. There is room for improvement, mainly the pool, but we had a great time nonetheless. Thank you for the feedback, I've pass your review on the the HOA and I will pass along your concerns about the interior of the unit to the owner. Nice 3 days away at a relaxing destination. Easy check-in and out and a nice place to spread out for cooking a meal, reading, watching a movie and of course the beach is nearby as well as many other fun things to do! Thank you for the feedback, we'll inventory that unit and look to add any missing items. We enjoyed everything about our experience on North Padre Island. Good resort property,restaurants, and friendly people. Rental was very clean and organized. The walls are very thin in this place, we never heard our neighbors but I noticed that within our own property. I was disappointed to find that there were no condiments or coffee of any kind. We enjoyed the proximity to nearby food and the beach.